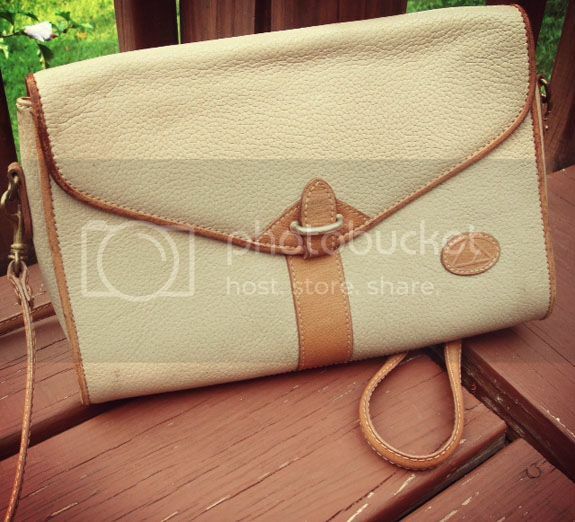 This 80's Liz Claiborne bag is up for grabs. This taupe and cognac leather bag has a bit of wear and tear that adds character and vintage charm. Remove shoulder straps for a little throwback clutch action. All zippers and closure work great. Only $5. This bag is approximately 11" X 7 1/2".